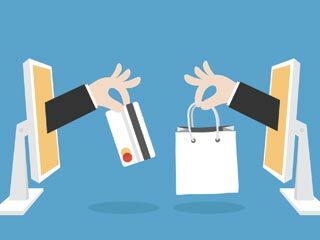 The trend of online shopping is set to see greater heights in near future due to changes in supporting ecosystem. Lets look at the various key factors driving growth in this industry. E-commerce in India has brought a momentous transformation among the general population where buying and selling of products are done through online portals. It has also seen an unprecedented growth of more than 60% in the course of the most recent years and is considered as one of the fastest growing sectors. Various features such as wide range of inventory, discounts and offers, free shipping and cash-on-delivery have led to surge in online shopping in our country. Ever increasing use of cell phones has prompted a significant development in the e- commerce business segment, inciting more youngsters to shop on the web. With 2017 just round the corner, the outlook for the industry looks far more superior. Social Media: Majority of internet purchasing choices are made on Social Media. Microblogging websites like Facebook, LinkedIn, Twitter, Google+, Pinterest and so on have turned into a medium for simple log in and buying. Customers have an access to stay updated by means of the posts published in this media. Moreover, the promotions on these social sites have increased the chances of success of generating transactions to manifolds. Drone Delivery: Companies have been working their way around to improve the conveyance procedure to abbreviate human exertion and time. Response to these issues is Delivery by Drones. Director General of Civil Aviation (DGCA) is currently optimising the procedure of issuing rules for the use of drones for common purposes in India. In this event, if everything goes according to the plan, India may turn into the primary nation on the planet to permit the utilisation of automatons for common purposes. App just Approach: Statistics propose that eventual fate of web lies in mobile devices. As per experts, more than 580 million individuals in India will utilise the Internet by 2018, and 70-80% of them will be well equipped with Web on cell phones. This will bring about every single e-commerce player to change to the app focused model. Artificial Intelligence: Artificial Intelligence (AI)will play an important role not only in sales, but it will also improve the way customers interact with the brands. This technological innovation will help customers to find out the right product for themselves. From a business perspective, it will help e-commerce players to understand the demand and behavior of a customer. In a nutshell, AI will help e-commerce players to know their real customers better, which will eventually encourage sales and conversions. Google's Buy Now Button: Google’s Buy now Button will soon appear next to products that are showcased in Google shopping campaigns, on mobile. It will enable users to seize the opportunity to purchase items without having to leave Google shopping, which will in turn lead to conversion rates for retailers. Google is expected to utilise this feature to rival other key players in the online retail market. It is anticipated that when shoppers click the ‘Buy now Button’, they will be taken directly to a Google product page.